The country stays focused on healthy flock, healthy food, and healthy consumption and ultimately on healthy human. Turkish legislation on food, feed and animal health is fully harmonized with EU and Turkish poultry industry produces safe eggs “From Farm To Table”. Turkey has a strong veterinary service and infrastructure and is one of the most recognized members of World Organization for Animal Health (OIE). 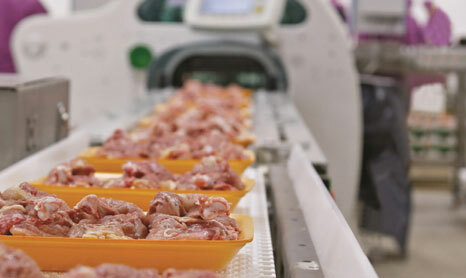 All poultry plants are monitored by animal health and food authorities under the “National Salmonella Control Program” and “National Residue Monitoring Plan”. Turkish Egg Producers Association and Poultry Meat Producers and Breeders Association are members of International Egg Commission and keep abreast of all latest developments in the world. With its geographical position, Turkey is the closest country to the market countries. It has the advantage to deliver any required volume of the freshest products within the required time. Poultry companies hold quality certificates such as Globalgap-Europgap, HACCP, ISO 22000, BRC (British Retail Consortium Standards). In Turkey, poultry production is environment consciousness and animal welfare based. 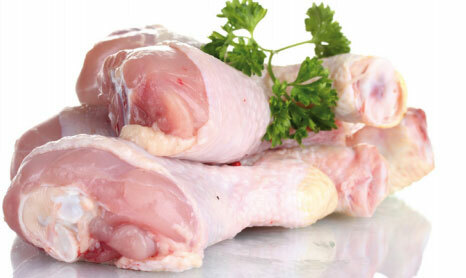 Turkish poultry producers, who are biggest animal food producer in Turkey, are our members. Each of them plays an important role in both animal food and poultry using its international technology and quality and they continue to contribute to the Country’s economy. According to USDA (October2012, Livestock and Poultry: World Markets and Trade) Turkey is ranked at the 7th place by 1.687 thousand tons of chicken meat production in 2012 in World chicken meat production( EU-27 is not considered in ranking since it is not a country. Among the countries in EU-27 there is no country having more production than Turkey). 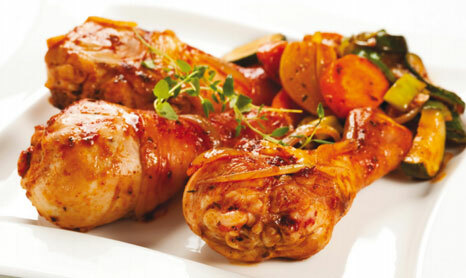 There are more than 12.000 broiler establishments. Approximately 2 million people are making their living in poultry sector (producer, farmer, tradesmen, feed, medicine, feed industry, transportation, marketing and their families). Annual turnover of the sector is 4,5 Billion US Dollars (8 Billion Turkish Lira). Our members have the following certificates; ISO 9001 Quality Management System Certificate ISO 22000, Food Security Management System Certificate (HACCP), ISO 14001 Environment Management System Certificate and Halal Certificate. Some of them has also the following certificates; BRC Global Standard (Food) Certificate, IFS (International Food Standard) Certificate ISO 10002 Customer Complaint Management System Certificate. In our member’s facilities, the production is made with Integrated Production Model. In the integrated production model, all of the stages except grandparent day old chick is being realized under the ownership and/or supervision of the integrated establishments. Within the body of the integrated facility the following facilities exist: mixed feed mill, breeders poultry houses, hatchery, broiler chicken poultry houses (contracted production), slaughterhouse, further process facilities, rendering and waste water treatment facility. In the sector the breeders of Scotch, French and USA companies are preferred, specifically. The delivered breeder day old chicks are placed in the “breeding” farms of the producer companies. They are fed by mixed feed for 24 weeks at a hygienic medium, appropriate temperature and ventilation. Animals start to lay eggs after 24th life week and their economic yield ends at the 64th week. The male and female animals are kept together in the poultry houses and their eggs are fertile. The eggs that are produced from the breeder flocks are delivered to the hatcheries at where hatching is realized by the most advanced technology. These eggs are cracked exactly after 21 days at the hatcheries where complete hygienic conditions are provided and hatching medium is almost real and day old chicks are obtained which will be breed as broiler chickens. The health controls of the day old chicks that are produced in the hatcheries are realized by the veterinary.